I’m off to Wilko next year too in Cambridge and the stranglers in Birmingham in March after the final 6 nations game is done. I think it may be a bit of glory day living that weekend. I first saw the stranglers at The Tube, broadcast from Newcastle. 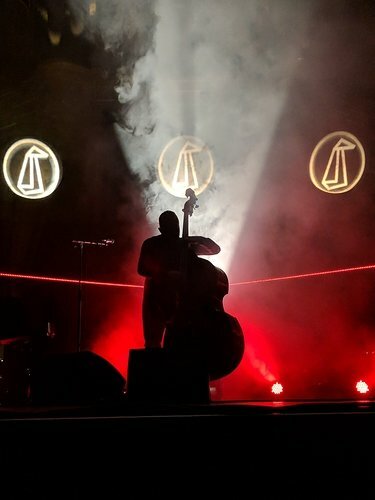 Gogo Penguin at the Royal Albert Hall a few weeks back. Might have been gig of the year. We were in the front row and I was transfixed by the drummer. Photo below of the bass being a rock god. I have booked to see Dead Can Dance at Hammersmith next May. I have seen them before but every time I see/hear Lisa Gerrard sing live it takes my breath away - such a wonderful voice. Anyone else going to see them? Skindred! Jeff and Ginge set up their own studio in Newport after they left the band, recorded our third demo for us back in 2005 I think. Their polite code for when we were exceptionally sloppy (that’ll be most of the time then) was that the take had ‘a Doors vibe’. It took some serious Pro Tools skills to tidy up my drumming. Love the Moles by the way, so glad it recovered from that fire a few years back. Envious of those going to see Wilko - never seen them before. Do report back if you have the time. I realise also I’d neglected to notice in @ASmith’s post that Peter Brötzmann was on the bill! I saw him perform with a Portuguese psych band called Black Bombaim back in January and it was fantastic. I also grew up going to punk rock concerts and completely get what you mean about the energy and oomph. Looks like a mere 2 gigs left this year for me: Bell Witch (performing a single 90-minute piece of music that sits somewhere between doom metal and baroque choral) on Friday at the Dome in Tufnell Park, followed by Zeal & Ardor (another example of a metal band doing something new and exciting) at the Electric Ballroom on Sunday. But who knows - might well be tempted by something else before 2018’s out. Something special about winter gigs. I saw dead can dance about 32 years ago as part of a 4ad night at university. They were excellent. But best band of the night were Dif Juz who seem to have languished in obscurity. [/quote]. Ha ha for fifteen years I lived five minutes walk from that obscure little venue and used to enjoy watching the queues of people outside and what they were wearing. But I only ventured in once and that was for a northern soul night! Hope it’s a good one. As for Dead Can Dance - like a good bottle of wine they have improved with age. 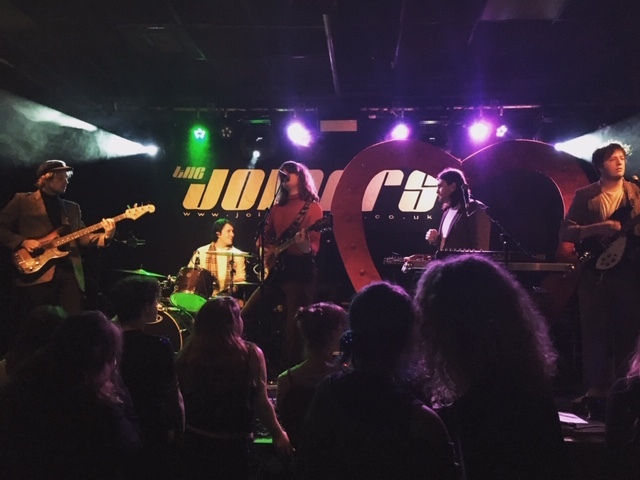 They tour very rarely, an acquired taste but a very special band. 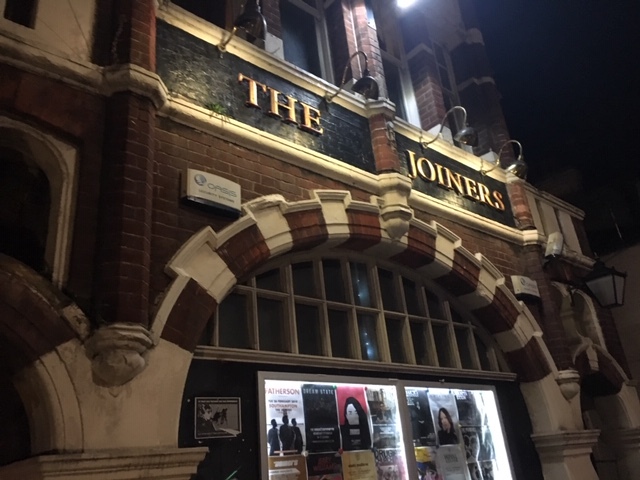 A great gig in a small venue in Southampton - The Joiners, in St Mary’s Street. FUR were great, even with family bias removed. 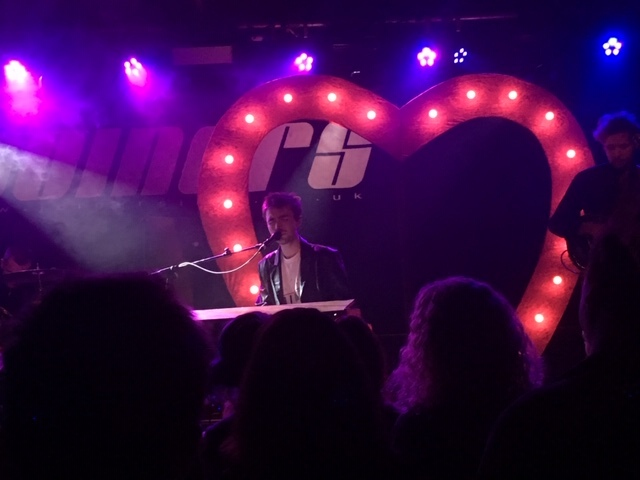 They were the support act to Matt Maltese who is worth checking out - think of a cross between Jamie Cullum and Rufus Wainwright with a dollop of chanson-française-alike feel. Really enjoyed it. Saw Jim accompanying the tremendous Claire Martin earlier this year in London- such a treat! used to enjoy watching the queues of people outside and what they were wearing. But I only ventured in once and that was for a northern soul night! Hope it’s a good one. 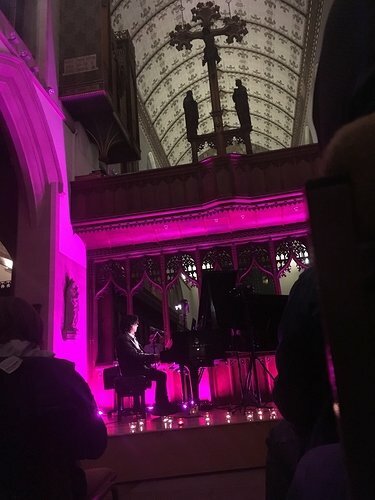 Belated thanks for this - The Dome is a cracking venue, as is the (tiny) Boston Music Room, which shares a courtyard with The Dome for air-taking/smoke-breaking purposes, too. It can make for fascinating exchanges depending on which gigs are being put on at the two venues on the same night…! Curtis Stigers at Ronnie Scott’s last night was spectacular. Great band, superb musicality and fantastic atmosphere sitting about 3m from the main man. Lovely venue. You’re never far from the action. Going to see Eivør Pálsdóttir in Reykjavik tomorrow, for her Cristmas concert. Woohoo! Wow!!! Enjoy, hope there is time for some geysers . LOVE Curtis Stigers - caught last time round at the Gordon Craig Theatre here in St Evenage. A real feel-good night of entertainment. On my way home from seeing the Branford Marsalis Quartet at the Barbican. One of the most moving live concerts I’ve ever been to. From another planet. Still reeling from what I’ve experienced.